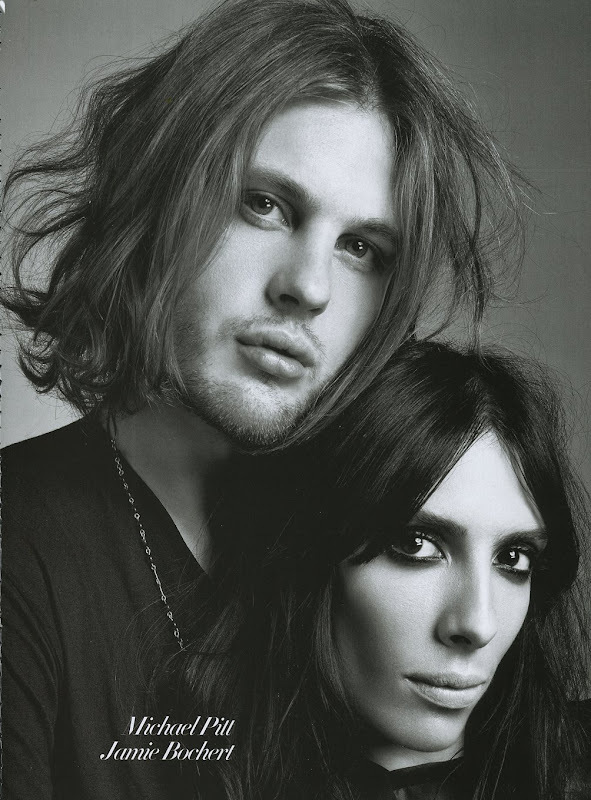 when gnarlitude jen sent me this amazing pic of jamie bochert, it made me instantly think of this rad picture i scrapped of michael pitt a while back. you see, i'm sort of trying to control my model posts, not because i don't think they're rad and i'm of course inspired by them all the time *cough erin wasson cough* heck i downright envy them; but models would look chic with burlap sacks on, let alone gifted designer clothing, so applauding their style seems redundant at times. 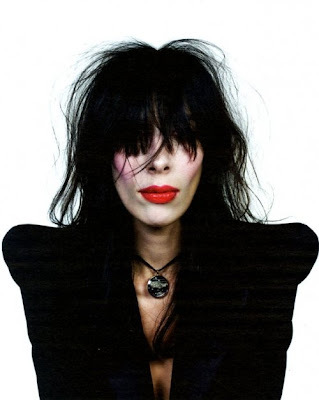 i do, however, love me some jamie bochert, with her weird non-pretty, pretty look and she's the highlight of the ann d show for me. but on to the point of this post...so yeah i'm trying to keep model style praise to a minimum, but i am, however, down for rad couple praise. these two just look so great together. you know how sometimes couples look eerily similar? well they look so mix-matched but so complimentary at the same time. that's an editorial couple if i ever saw one. 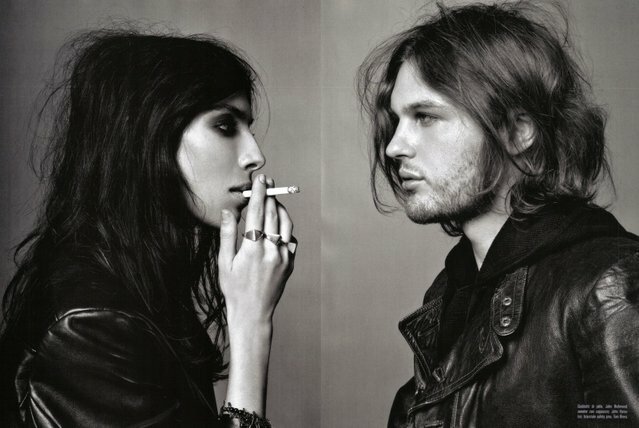 now i'm off to photoshop my face and heath's onto the last photo. KIDDING. thanks for visiting my blog ! i love yours too ! hahahahaha, yes, they are quite the couple. i love how where her cheeks are sucked in, his are puffed out. I ran into him outside a bar in burlington, Vt (where i live) and knew it was him, even though non of my friends believed me/knew who i was talking about. 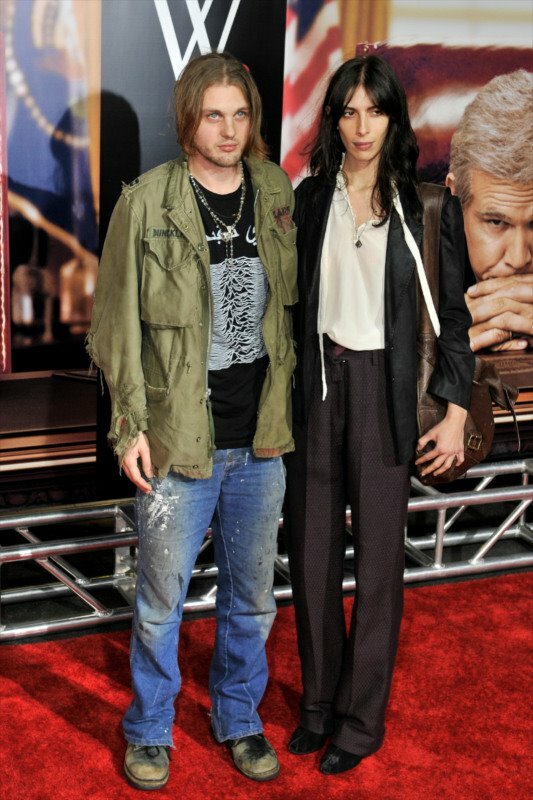 . . this was back in his asia argento phase cause she was with him too. His lips are just so pillowy! so Mcally Culkin. That first pic of him is great although the obvious fakeness of the crow kinda weirds me out. We have got to make those shirts! That image is dying for it.